I was recently reading Gospel Doctrine by President Joseph F. Smith and I was struck by a comment he made regarding the necessity of missionaries to be sociable in order to be effective. It is interesting that President Smith says that sociability is a skill that can be learned. Certainly sociability is something that comes more naturally to some than others. I, for one, am not exactly an extravert, therefore it was something I had work at. In the first area I was assigned as a missionary in Argentina, there was a little girl in the branch who called me Elder Serious. I never liked this moniker. I always thought of myself as a happy person, but the adjustment to being dropped in a foreign country must have been a little overwhelming and it showed in my facial expressions. 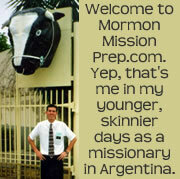 Realizing I didn’t want the name to stick, I worked at being a happier missionary and letting it show. I think by my third or fourth area, I had made significant progress. 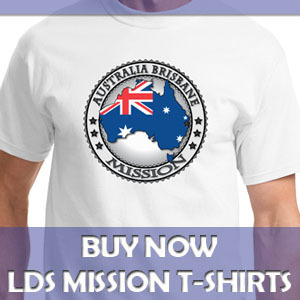 am one of those to whom it comes less easily, though I still think I was a pretty effective missionary. Perhaps my other characteristics of hard work, faith, and knowledge helped compensate. Photo Above: My brother Paul Smith Jr. in the Italy Catania Mission.